As of this year, on-campus jobs have begun to pay students more, and the campus-wide minimum wage has increased to $7.50, as opposed to Wisconsin’s minimum wage of $7.25. Students have Jenna Stone ’00 to thank for helping in the effort to implement this increase in wages. As Executive Director for Budget and Planning, Stone is faced with a great deal of difficult financial decisions to help Lawrence with both short-term needs and long-term goals. Stone explained that often, the need for funds far exceeds those actually available, and so painstaking choices have to be made in order to decide where to allocate money, and what may be most beneficial in the long run for Lawrence’s overall financial security as a long-established institution. However, raising student pay is a part of the greater goal for better affordability, which Stone emphasized as being a highly important issue to the department at this time. Though most other colleges in Wisconsin pay students minimum wage for entry-level jobs, Stone understands that this is no longer a fair wage for students. “The cost of everything else, including Lawrence tuition, room and board has gone up since the last time minimum wage went up” Stone acknowledged, and explained how the department has re-evaluated student pay for on-campus jobs. “We discovered that there was a lot of inconsistency across campus for what students were paid. For very similar jobs in different departments, there could be as much as a dollar an hour difference and you’re doing basically the same work, just for a different department. And since we were working on raising wages we said, ‘Well, we want to be fair and equitable in how we’re going about this,’” Stone began. Going into greater detail, Stone explained that each job was evaluated in terms of its difficulty, how much work must be put in to it (as opposed to jobs in which students can still do homework while clocked in) and even whether the job requires previous experience in order to be employed. Stone has come to this position after years of experience in financing, as well as through a deep connection and devotion to Lawrence University. As a student, Stone majored in philosophy while minoring in mathematics. Though she lived off campus with her spouse at the time, Stone still developed a great love for Lawrence, and even founded the Lawrence University Pagan Organization, which has recently come back to prominence after lack of leadership for some years following Stone’s graduation. Stone spoke to her experience as a Pagan, noting that “even now [Paganism] is not that well understood, but then people were scared of us and there were a lot of misperceptions and misunderstandings and myths out there, and so we did a lot of community education.” Paganism mostly revolves around earth-based rituals and celebration of the solstices and equinoxes. “When you let go of the vocabulary that’s associated with it and just look at the beliefs, it really has a lot in common with Hinduism, and a fair amount in common with Buddhism in terms of its perspective on human relationships with the universe. When you look objectively at the beliefs of any religious tradition from the outside as a non-believer, really all of them are equally ridiculous, implausible, perplexing and strange,” Stone said, explaining that her personal view on theology stems from the mathematical concept of Girdle’s Incompleteness Theorem, which essentially states that there are some truths in the universe which cannot be proven. “Mathematicians have actually found a couple of mathematical Girdle’s Sentences, things where you can actually prove the sentence is consistent with the axioms of mathematics that we use to understand the universe, but the negation is also true with the axioms of mathematics, which means that those sentences are empirically unknowable. I think that god is true but unknowable in an empirical sense, knowable only through a different kind of epistemology.” Stone concluded. Along with her involvement in the Pagan Organization and academic endeavors, Stone started a part-time job with an investment management firm in downtown Appleton which would eventually be her full-time job following graduation. However, during the downsizing of the 2001 Dot Com bust, Stone found herself without work and applying anywhere that might take her. 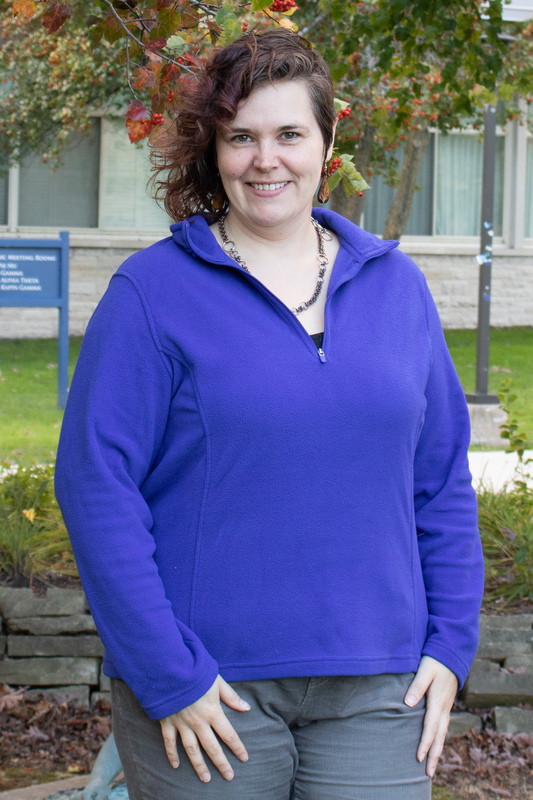 When Stone was given a job at her alma mater in Annual Giving, a career at Lawrence University began. Eventually, Stone moved on to the Grants office, of which she became director for a decade. However, when the Director of Financial services at Lawrence left to pursue a new position elsewhere, Stone was encouraged to apply for the now split position as Executive Director for Budget and Planning. As a former student, Stone is fully aware of the frustration which can stem from feeling that the university is moving at too slow a pace when making change. “As a staff member being on the inside of more of those decisions and seeing how the sausage gets made, it’s no less frustrating that students have those confusing and frustrating and infuriating experiences,” Stone said.